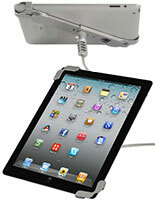 Is an iPad cover & bumper with a lock the right choice for your business, school, or even home? 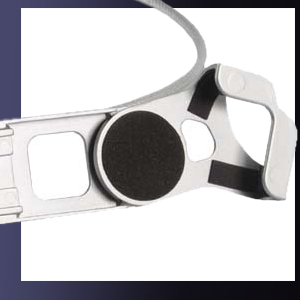 Chances are it's a good decision, as locking stands offer protection for valuable Apple® devices and accessories. 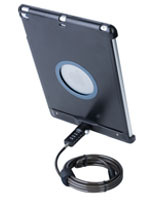 The "bumper case" or edge-grip styles of iPad enclosures feature integrated security available in a variety of different styles. Kiosks, stands, and mounts are all offered in what are referred to as "commercial" (locking) or "residential" (non-locking) versions. 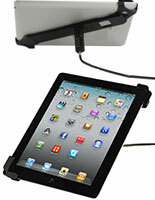 An iPad enclosure that locks, of course, can be used in any residence as well. Tablet security for residential use is generally a matter of preference, whereas commercial or institutional use may well require lockable mounts to safeguard their accessories. A secured iPad enclosure, also called a locking tablet encasement, can mean less worry about theft, device tampering, or unauthorized access. iPad cover & bumpers (see our other categories for additional tabletop models) are very flexible holders that come in many variations. The enclosure chosen should accommodate both usage and environment.